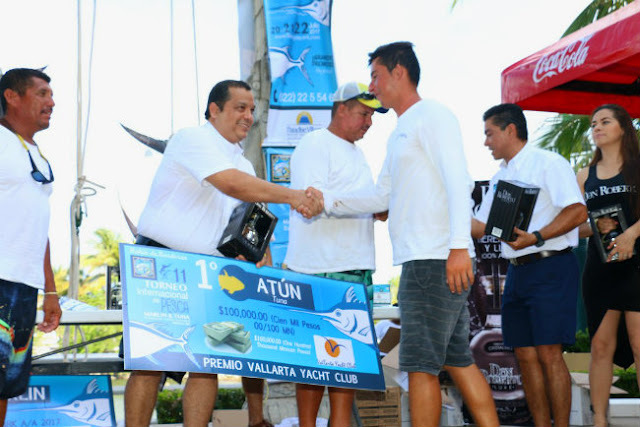 The Bahía de Banderas Fishing Club just hosted the 11th Bahía de Banderas International Marlin and Tuna Fishing Tournament at the Vallarta Yacht Club in Paradise Village. The Riviera Nayarit has established itself as one of the favorite destinations in Mexico for sport fishing aficionados thanks to the always-favorable climate and marine conditions, not to mention the abundant diversity of species that live along its more than 300 kilometers of coastline. Every season there are at least three important tournaments, both in Bahía de Banderas and in San Blas, plus two world capture records that have been set here: one for wahoo and another for sword fish, the latter weighing in at 322.2 kilos. This destination also has modern marinas; personnel trained in the fiberglass repair; technicians; state-of-the-art technology for boats; restaurants; luxury hotels; and the entire infrastructure required for this sport. This year the Bahía de Banderas Sport Fishing Club hosted the 11th Bahía de Banderas International Marlin and Tuna Fishing Tournament, which was held at the Paradise Village Vallarta Yacht Club from July 20-22. For two days, fishermen anxious to capture the best specimens displayed excellent sportsmanship that translated into great benefits for the destination both in revenue as well as promotion. “One of the objectives of the Bahía de Banderas Fishing Club is to help position the destination so that sport fishermen visit not only for tournament season but throughout the year,” said Club President David Zaragoza. As opposed to commercial fishing, sport fishing is sustainable as it does not affect the species and also employs a good number of locals by involving hotels, boat rental facilities, taxi services, restaurants, fuel, bait, etc. The Riviera Nayarit Convention and Visitors Bureau (CVB) has lent their support to events of this category as they are pillars in their promotions strategy, thanks to the high number of tourists they draw in and because they represent an important forum for the domestic and foreign press that covers the competitions. 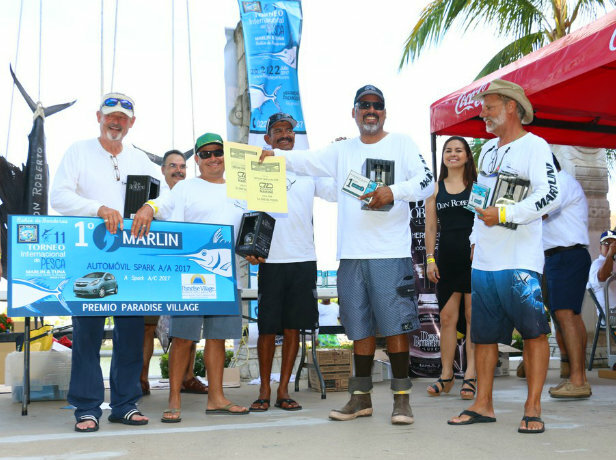 The 11th Bahía de Banderas International Marlin and Tuna Fishing Tournament had a marathon ending with the victory of the Martuni team, which showed off a 106.8-kilo marlin on the first day of the tournament; they remained in first place until the end. In the Sailfish category, Tequila Don Roberto took first place with a 30.6-kilo specimen. There were no Mahi-mahi catches and the first place for Catch and Release went to the Césares team. The Fishing Club board led the awards ceremony at Paradise Village, which included awards and special mentions, plus a raffle for gifts and prizes for the teams that didn’t have any catches.